Courtesy of Dunes Properties of Mt. Pleasant. Beautiful home features 3 BR + flex rm w/green energy star features & Bamboo flooring on main level. Lots of windows offers abundant natural light & open floor plan w/10′ ceilings on main floor & 9′ on 2nd floor makes for a vibrant living space. Kitchen features SS appliances + butcher block island. Upstairs features spacious master w/en suite bath & 2 BR’s w/Jack & Jill bath. Entertain guests in style w/indoor/outdoor room, aka ”The Green Room” & brick lined oyster shell patio w/drop down Murphy Bar. Enjoy the lifestyle Park Circle has to offer & walk to trendy restaurants, shops & parks, incl the iconic duck pond. Yard fully fenced w/6′ privacy fence. 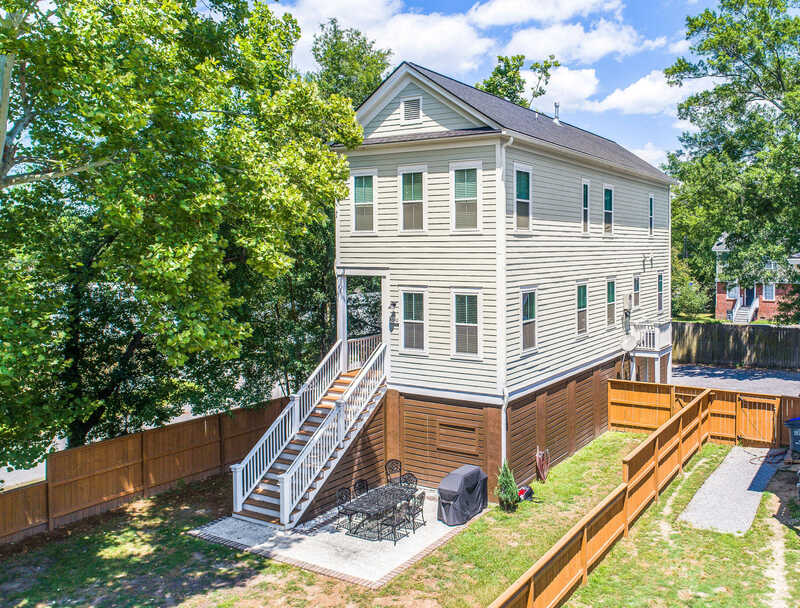 Elevated home w/ plenty of parking-2 car drive under garage + gravel parking on left for 1 & on rt for 2. Corner lot w/mature Elm tree! I would like to schedule a private showing for this property: MLS# 19010842 – $379,900 – 4340 Oakwood Avenue, North Charleston, SC 29405.